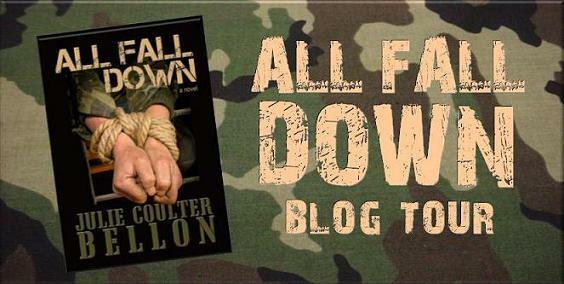 All Fall Down by Julie Coulter Bellon is incredible. It literally grabs you on the first page and never lets you go. You are immediately thrown into the action and along with Rafe Kelly, Navy SEAL who is recovering from an injury before returning to active duty. You discover that things seem odd and a little off when he goes to visit his brother and the company he runs. Then suspicions flare up in Rafe he tries to shake them off but his training tells him other wise. At that point the action in the story skyrockets and are thrown into non stop high adventure and a great thrill ride. Especially when you are introduced to another strong willed and his perfect complement as things spark when Claire Michael's enters into the hostage situation as negotiator and she is smart and competent. But she and Rafe don't always see eye to eye, but they sure do feel those sparks I talked about. 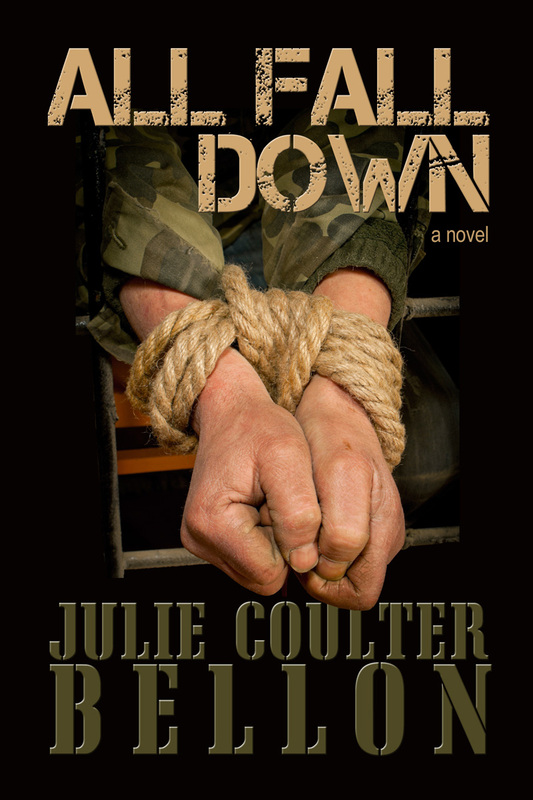 As they try to out maneuver the terrorist and get back Rafe's brother from al-Queda you are left biting your nails on the edge of your seat wondering what happens next as both Rafe and Claire's attraction for each other grows as they try to out strategize the terrorist. 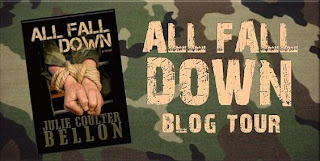 All Fall Down by Julie Coulter Bellon is one book I didn't want to end but loved reading it every page of the way. The characters were dynamic and the story moved flawlessly. I recommend All Fall Down to anyone looking for a great action adventure story with a splash or three of romance thrown into the mix. Thanks for the review and for being part of the tour! !